Unity government declared, after Hamas threat of no government unless Ministry of Prisoners remains defused by deal. Despite zero hour tensions that threatened to scupper the entire process, the unity government between Fatah and terrorist group Hamas was sworn in on Monday in Ramallah, with the attendance of Palestinian Authority (PA) Chairman Mahmoud Abbas. Hamas informed Fatah earlier on Monday that it would refuse to join the unity government being unveiled at 1 p.m. local time, unless its demands regarding the Ministry of Prisoners were met. However in a last minute move, the two sides apparently reached a compromise by which the Ministry of Prisoners will not be cancelled. In the new deal, there will be no minister appointed to the Ministry; rather it will be subservient directly to the unity government Prime Minister Rami Hamdallah, reports Yedioth Aharonoth. According to Hamas Spokesperson Sami Abu-Zuhri, Fatah had been given an official notice about the Hamas decision on Sunday to reject the swearing in of the new government if the Ministry of Prisoners is cancelled, reports Ma'an News Agency. "(The) Hamas movement won't agree to announce a unity government without a ministry and a minister of prisoners, and Fatah has already been notified of that irrevocable decision," Abu-Zuhri declared Monday. Abbas had stated that the Ministry is to be replaced with an independent body, and other PA officials have reportedly warned the US may withdraw funding from the PA if the Ministry was not dissolved. 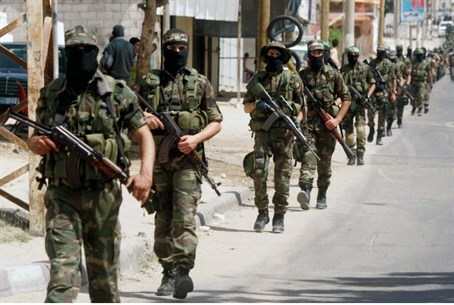 Palestinian Media Watch has documented repeatedly that according to PA law and practice, the PA does not give stipends to terrorist prisoners' families but salaries to the terrorist prisoners themselves. At a government meeting earlier this month, current PA Prime Minister Rami Hamdallah, who as noted will head the unity government, said the PA places "prisoners at the top of its priorities" and that they will continue to implement the "Prisoners' and Released [Prisoners'] Law" - which specifically refers to salaries and other payments to prisoners. Despite the overwhelming evidence, US Assistant Secretary of State for Near Eastern Affairs, Ambassador Anne W. Patterson, defended the PA practice of paying salaries to terrorists in jail before Congress last week, saying "they have to provide for the families." While US Secretary of State John Kerry spoke with Abbas by phone on Sunday to "express concern" about the new unity government, a US official said Sunday night that "the United States informed Israel that it will not support the unity government immediately after it is sworn in." Another issue Hamas had with the unity government was the appointment of Riyadh al-Malki as foreign minister. Abu-Zuhri said Sunday al-Maliki was "undesirable" but hinted the selection would be accepted.